they do a very fine line in ‘outdoors’. 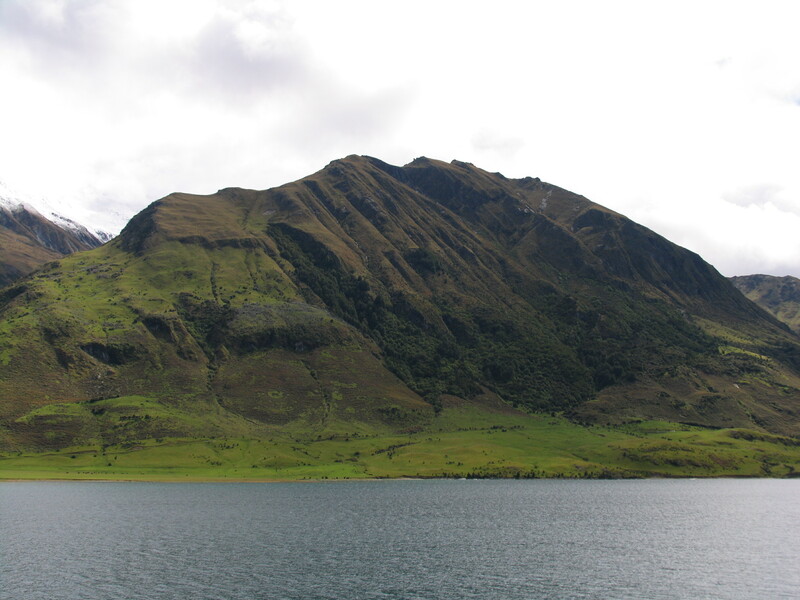 Beech forest, glaciers, green hills, alpine peaks, braided rivers, volcanoes, etc. Modestly illustrated below. they do a very fine line in outdoor gear. 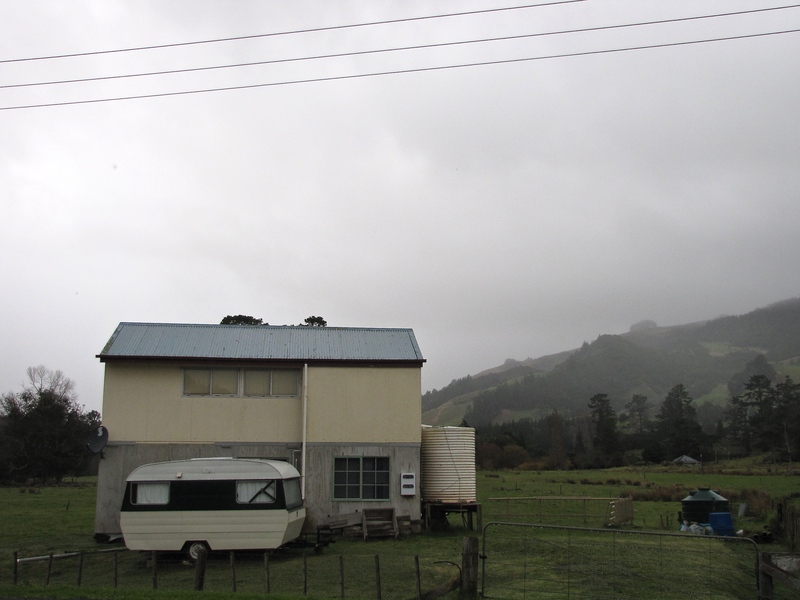 Because of long practice New Zealanders understand weather. As alliterative evidence: Wellington on a wet and windy winter weekend. they, not uncommonly, have a very fine sense of humour. It may be that, like me, all your favourite Australian comedians — John Clarke, Tony Martin, Alan Brough — are Kiwis. Fearless, wry, clever. Add Rhys Darby and the Conchords and you also get innocent, fatalistic, delighting in life’s absurdities without feeling any need to pass judgment, and ignoring even the possibility that Jack might not be as good as his master. For that matter, what’s a master? they can be well educated. 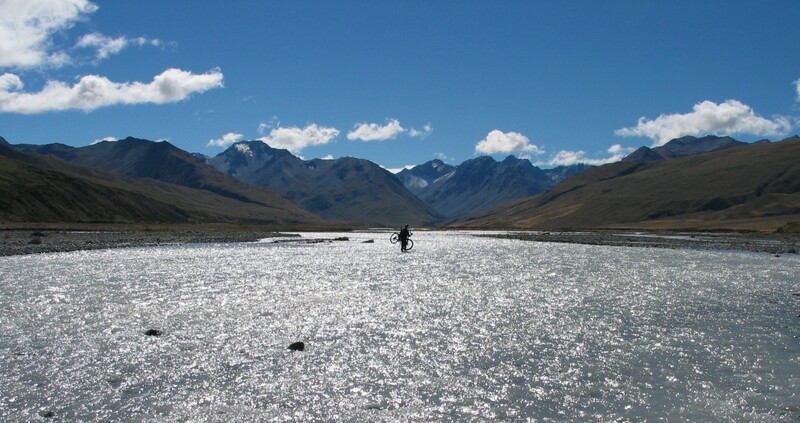 Australians often think that New Zealand is like an extension of Australia, just across some water. The language, apart from the fascinating and much remarked vowel shift, is the same. You can manage the money with a bit of help. The food and wine are easily recognisable (and often great). Our favourite television show in NZ used to be the sheep dog trials. Why they took them off I’ll never know. Since then we have discovered ‘The Crowd Goes Wild’, and when some meat and drink is offered to it like the rugby world cup it gets jaw-droppingly engaging. It’s sports news, but the teeter-totter of not being quite sure whether the presenters are serious or not provides one of the central attractions of the program. After ten years the Crowd Goes Wild folk ought to be getting a bit tired, but their continued freshness stems from their complete lack of artifice. Not art; artifice. The amiable dag is a familiar figure in sports shows, but this is different. While you get their plain unvarnished selves, what arrives is fearless, startlingly direct and incomprehensibly open, qualities underpinned by a keen sense of irony honed with the whetstone of competitiveness. And I think that these are distinguishing national characteristics more broadly. An unusual degree of physicality — that crowd in Wellington looks stronger, straighter and fitter than an equivalent crowd in Melbourne — genial openness, inventiveness, adaptability, resilience and just a taste of insensitive hardness. 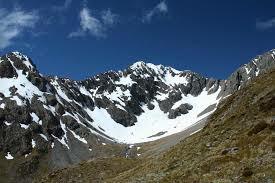 I’ve thought along these lines since we climbed Temple Basin near Arthur’s Pass on a visit years ago. It was a very stiff track, broken rock and drifts of scree as well as being badly rutted with erosion. It might have been two hours before we got to what seemed like a staging point. To get any further was going to be a pain. But right there was a manually-operated tow. After you’d carried your skiing gear up this high, up that track, you could scramble up another several hundred metres and then haul it up after you to ski. That’s an afternoon’s entertainment. I don’t think it’s an accident that bungee-jumping began in New Zealand. 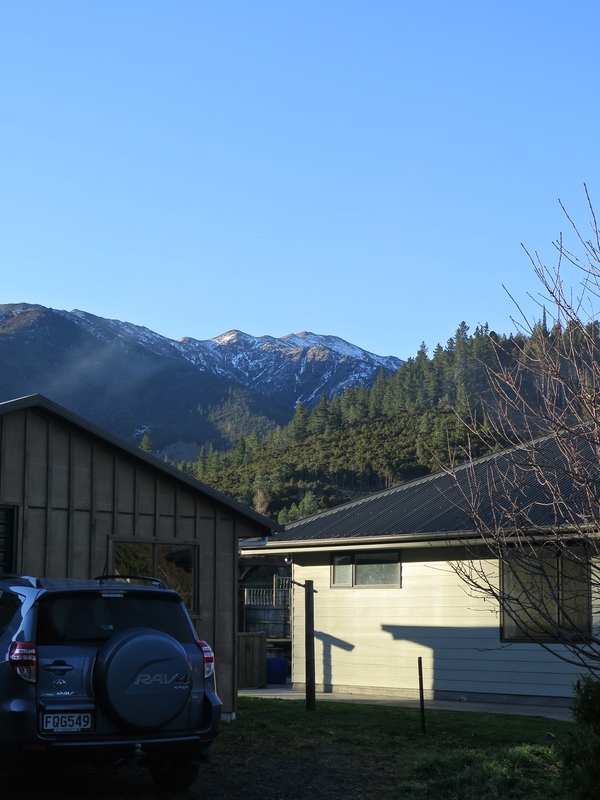 (‘Hey bro I’ve got this wicked idea…’) I’ve seen the scree slope at Avalanche Peak down which you are supposed to run, part of a race (running, climbing, kayaking, bike riding) from one side of the South Island to the other. I guess it’s what you get used to, the impact of your environment, the impact of how other people spend their time in this slice of heaven. That fearlessness … fatalism qualified by indomitability. It’s not nothing. It might be a product of size: 4.5 million people parked in 268,000 square kilometres (a bit bigger than Britain), 1.4 million of them in Auckland. That means you can get a go at a lot of things, and that you might be expected to: like the undertaker in a small country town who is also the butcher, the post officer and the town clerk. Multiskilled multidimensionality. I had a Scottish friend who described this phenomenon as being a ‘lad o’ pairts’, someone who could, and was willing, to turn their hand to most things. And in NZ that applies to lassies as well lads. It might be a product of a particular sort of isolation: extra-murally a step further even than Australia from what used to be ‘home’; intra-murally because of the population’s wide distribution in small pockets of settlement. 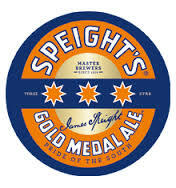 ‘Southern Man’ is the caricature of these attributes, hunters who get choppered into the Southland with a slab of beer and a gun and emerge somewhere near the Cardrona Pub well and cheerful three months later with a range of venison products. 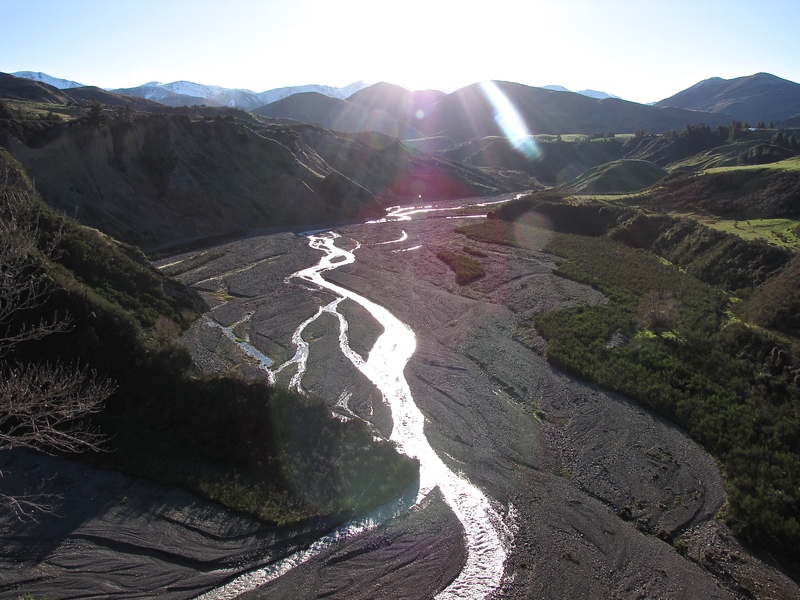 The Southland does provide ample opportunity to be isolated. But so do parts of the North Island. It might be the product of unusual and relatively successful biculturalism. At a session of the NZ Film Festival we went to, two of the six directors introduced their short films speaking Maori: without pretension, embarrassment, show or surprise by either speaker or audience. There’s a lot to say about this including the fact that the Maori and Pasifica sections of the New Zealand population have in recent decades been left behind economically in a way that the Anglo-Celts haven’t. But New Zealand still provides one of the best examples anywhere of indigenous and introduced human species living happily together. While Australia is a big dry unresolved and complex lump, New Zealand is most definitely three Pacific Islands. These sorts of generalisations have boundaries and might be faintly ridiculous. They are also replete with stereotypes and cliché. However, I never doubt that stereotypes have a foundation, and without cliché we wouldn’t be able to communicate. Whatever. It’s another world that I particularly enjoy visiting and thinking about. 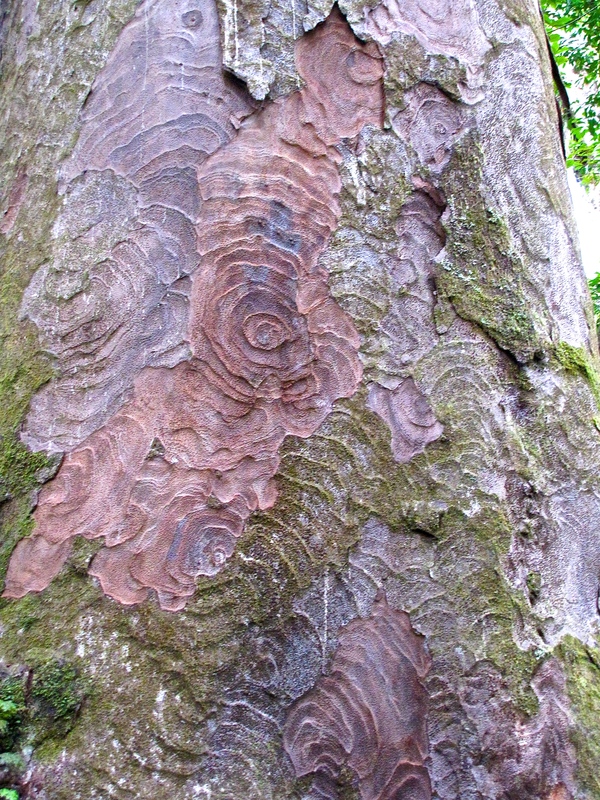 The first time we went to New Zealand was because I wanted to look at kauri trees. I had bought a hundred or so lineal metres of unusual 200 x 50 tongue and groove which had been used as flooring in a chook shed. The surfaces were in pretty rocky shape but when I cut into it beautiful golden wood emerged. It was kauri and I had no idea what I had or how precious it was. I only knew how wonderful it was to work. The trees look like giant cylindrical vases with a rather unkempt bunch of flowers jammed in their tops. They are squat rather than sky scraping, the Pacific Islanders of the tree world. Paying no respect to how long they take to grow, whole forests were slaughtered and now some of the best kauri comes out of marshland or from under metres of dirt where fallen trunks have been buried. 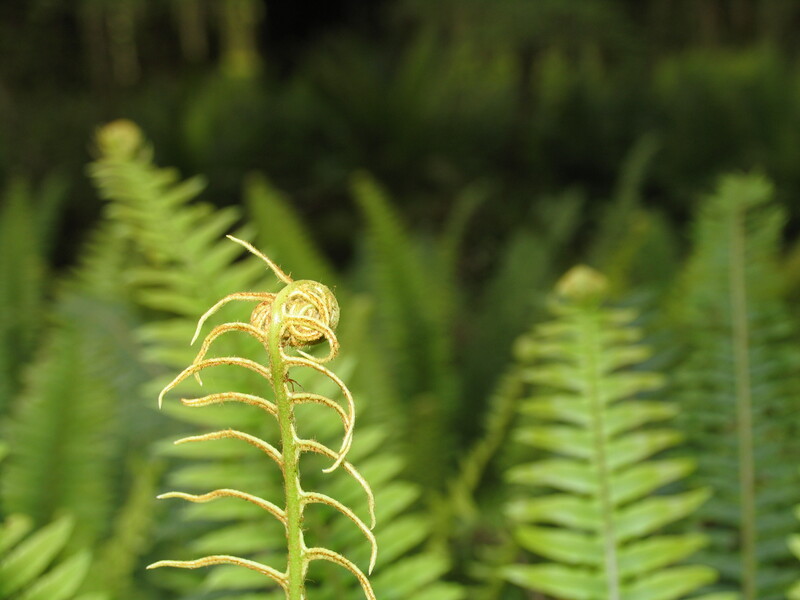 But in the Waipoua Forest in the north of the North Island some remarkable specimens remain. Animated by Maori lore, this is Tane Mahuta, ‘The Lord of the Forest’. 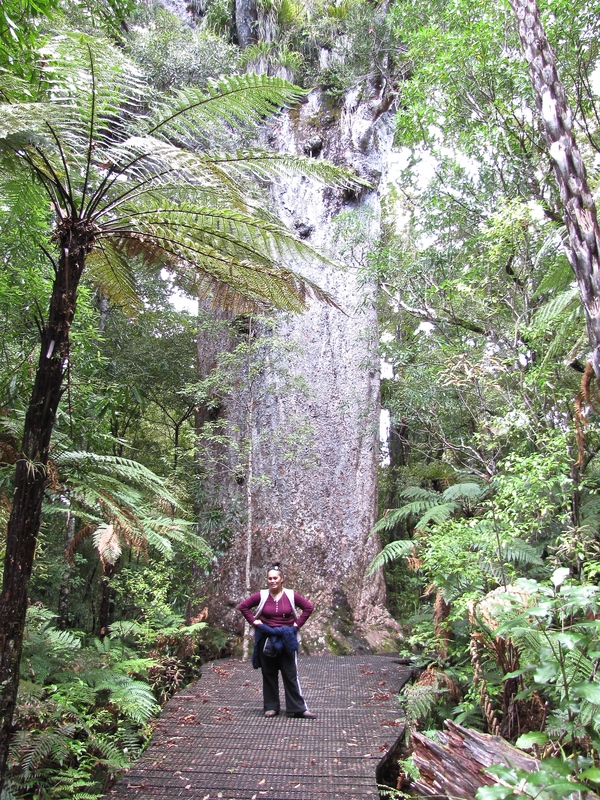 Bigger ones have been measured in the past but at present this is the country’s largest kauri tree, approximately 2,000 years old and still growing, nearly 22 metres to the first branch and 15.4 metres in girth. The human subject was just someone who happened to be there and we got chatting. She fitted like a glove. Just for context. The grey mouth of the Grey. West coast South Island. 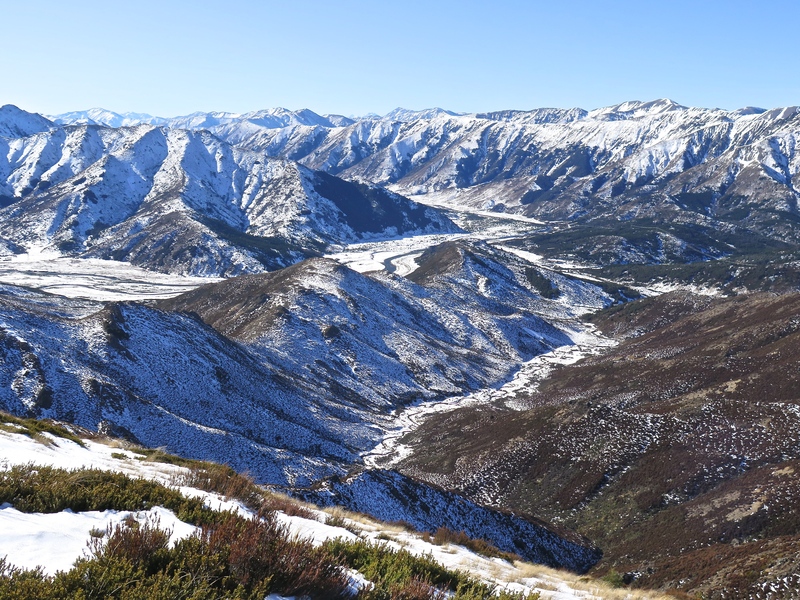 Not far from the Pike River coal mine where 36 people died in 2010. 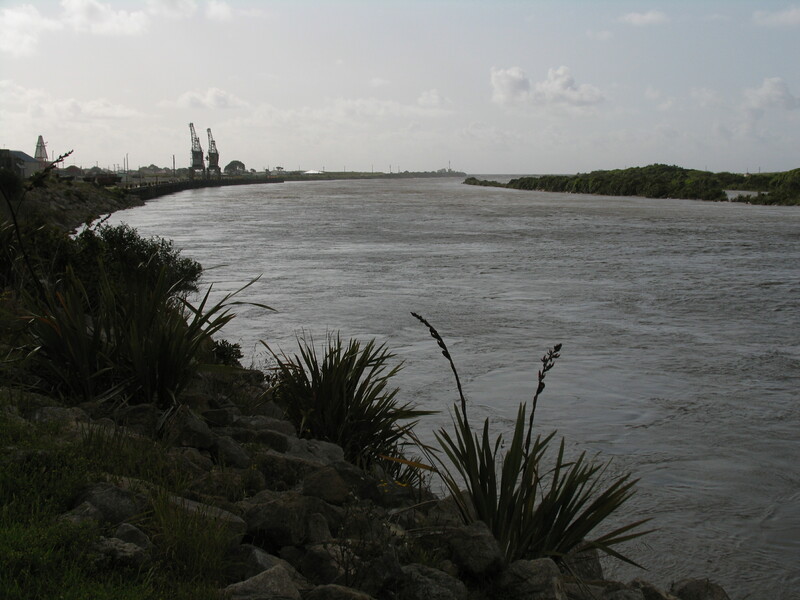 There aren’t that many reasons to visit Greymouth which is one reason why we like it. 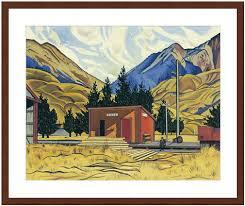 Like many smallish NZ cities and towns, its art gallery usually has something of considerable interest to offer. But like the rest of the town it was closed on the Sunday afternoon when we last were there. But on the levee along the southern bank is this. You mightn’t be able to read the plaque. In its completely unadorned and secular way, it says ‘To those who help others’. The implication of the sou-wester and the gum boots might be ‘at sea’. But I don’t think so, and it doesn’t mean the government either. You might get that elsewhere, but I think it unlikely. 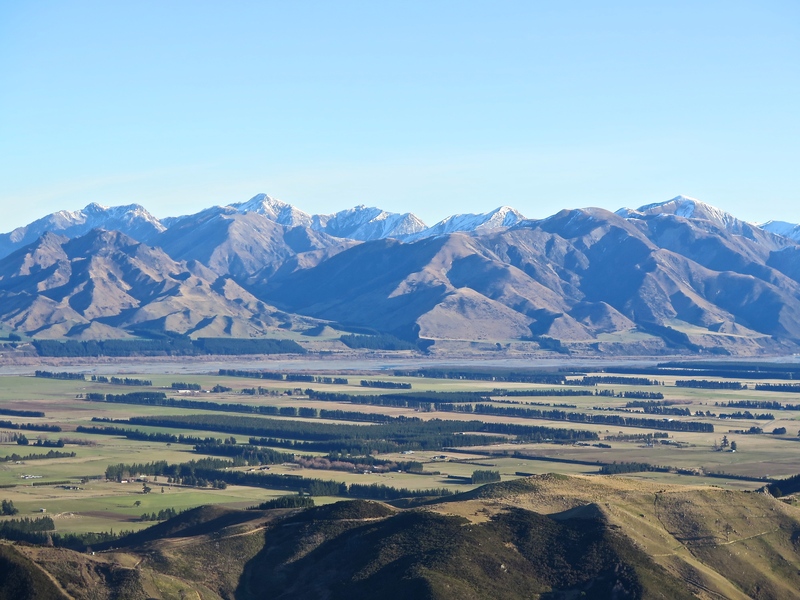 These photos are about the turn of the New Zealand plane, the extraordinary shadows you get in the late afternoon describing the ridges in these geologically very young mountains and hills. I don’t know if I have the colour right in these photos. It’s a deep purple even darker and redder than in Rita Angus’s ‘Cass’, a much loved painting. 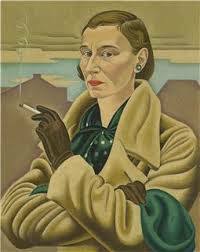 At left, Rita as she at one time painted herself and, at right, the Cass siding from a less interesting perspective. I stopped here, parked and got out. Hang the consequences. 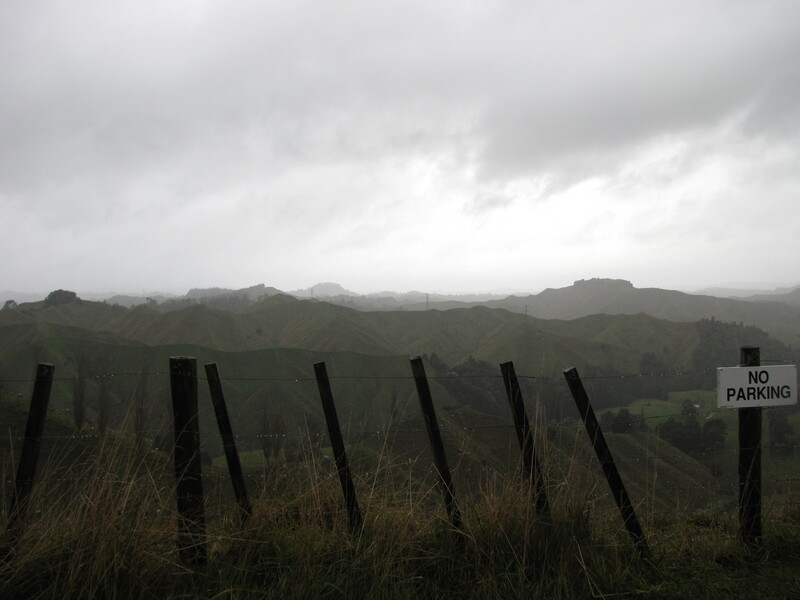 It’s some distance along the Forgotten World Highway which runs between Taumaranui and Stratford, west of the North Island and perhaps obviously not much visited. We’d been rebuffed by ice on the Tongariro Crossing and were on our way from Whakapapa to see if Mt Taranaki was going to make itself available for viewing and of course it wasn’t. But to return to the original theme, anywhere where parking is less likely to be a problem is hard to imagine. We may have seen another car in motion during those 150 k.s but I can’t remember one. The only town of any consequence between one end and the other is Whangamomona, notable for the fact that it has seceded from New Zealand to establish its own republic. An exquisite drive. We were walking around Dunedin following a self-published walking guide that a resident thought others might enjoy, poking our noses hither and thither. The street was in the guide; the house was not. We were staring up the drive at the garden when the owners came home. They’d just been to church where the sermon had been on welcoming strangers, so we got invited in for a cup of tea and some scones. I did know their names but have lost them. 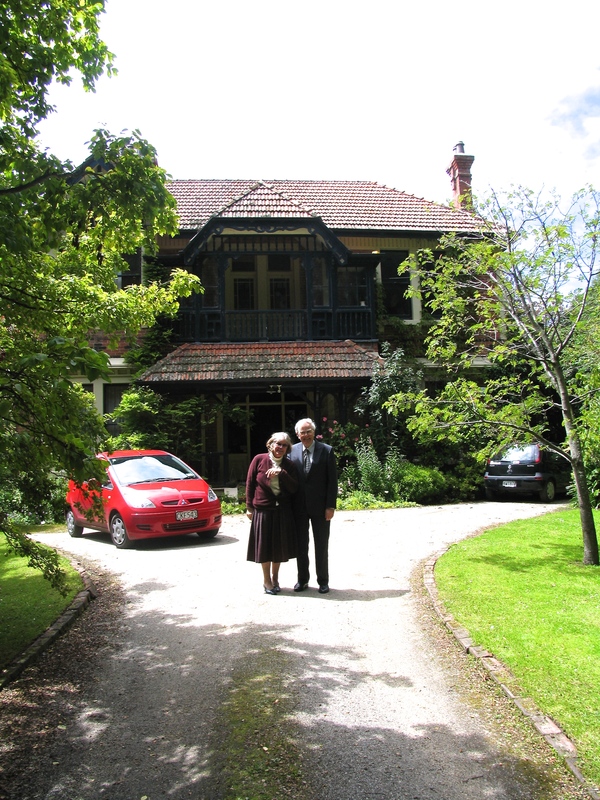 He turned out to be an academic working at the University of Otago and what was keeping him off the streets at this time was something he and his team had just invented, a ‘fabric’ or material through which it was possible to control the flow of material so that single atoms could be passed through at a given time. That struck me as extraordinary. This apparently has very wide application in some fields such as medicine. How did he come to this idea? By thinking about the fabric of which collapsible canoes (also invented in NZ) were made. 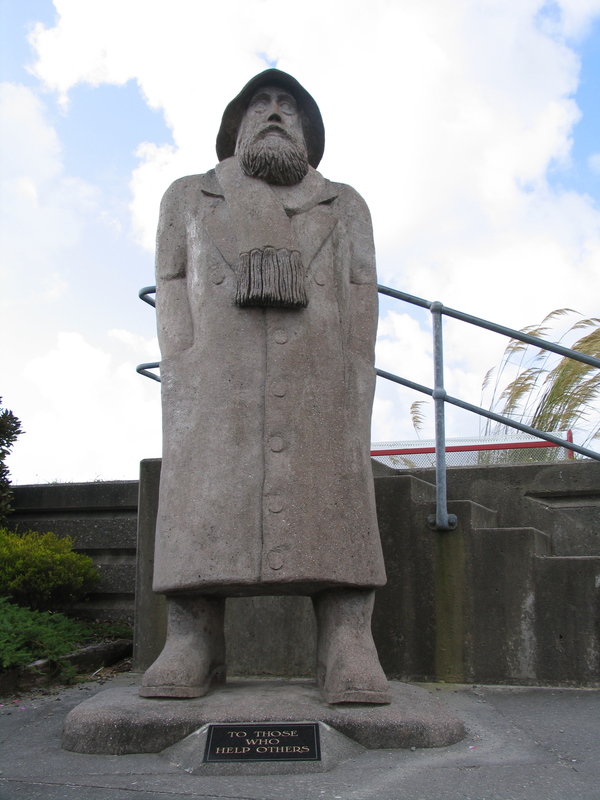 He was at the time in process of negotiating patent and development issues with a German company. If matters worked out as he thought they would $10-15 million, as an initial payment, would pass in the direction of his team. They were lovely people. This is the real reason for the blog. Mt Isobel, 1ooom. above some houses at Hanmer Springs, a resort town in the north of the Canterbury Plain, South Island. The first half included steep zig-zags mostly with a layer of snow over ice. 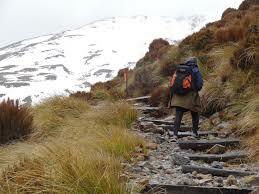 The third quarter was steeper and straighter with some hand climbing and very icy. Semi-controlled bum sliding on the way down. 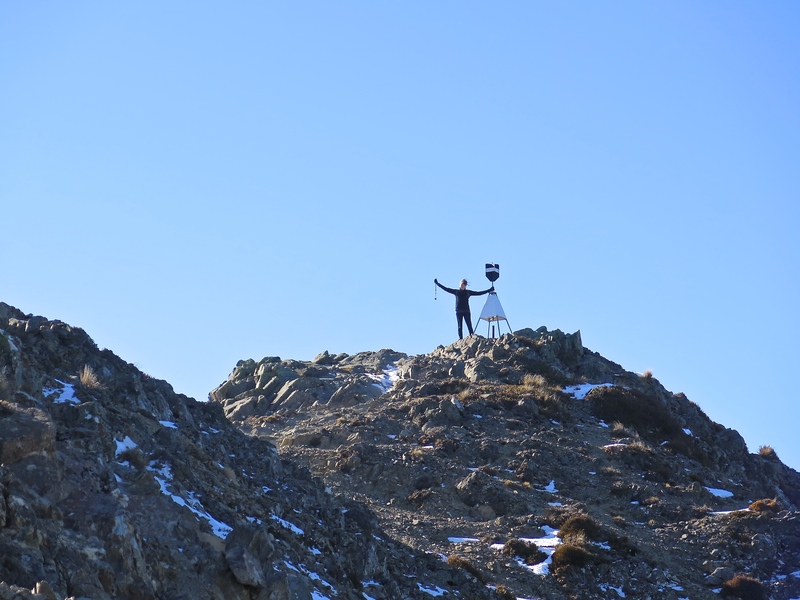 The last quarter was a ridge walk on gravel, scree and snow beds accompanied by a very sharp wind. A steep pitch up to the peak. We older people made it. And then a bath in the springs. We arrived not late but after nightfall. Several hundred people were there, enjoying themselves. Probably a very good date destination. Enough skin but natural and unobtrusive in context, perfectly kosher. You’d just lie there chatting. And then you could, say, go off for a drink. The air temperature was hovering above and below zero Celsius. 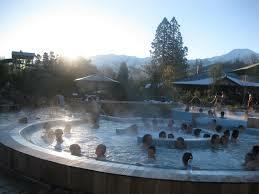 The pools ranged from 33-42 degrees. Getting between them was a thrill a minute. But no one seemed to notice. I must make mention of the bathers dryer in the changing rooms, which I think Australians would either ignore or treat with suspicion. Modelled on a spin dryer, you put your togs in, hold the lid down for 5-8 seconds and then lift them out dry. It’s free. Such a good idea — daggy and wonderful at the same time, so practical — and very popular. New Zealand-ish or what? The full name of Te Papa, ‘Our Place’, is Te Papa Tongarewa ‘Where we keep our treasures’. 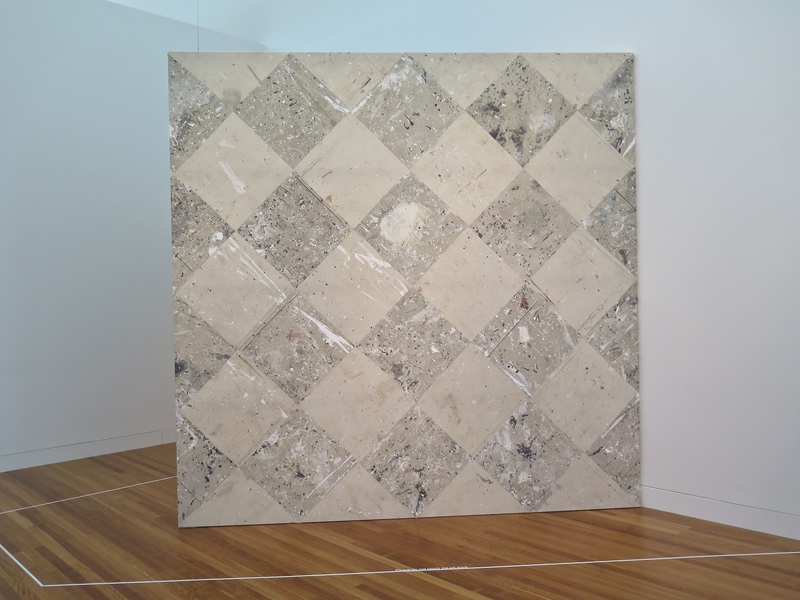 In the blog on earthquakes I mentioned that the Christchurch art gallery was going to have base isolators installed. 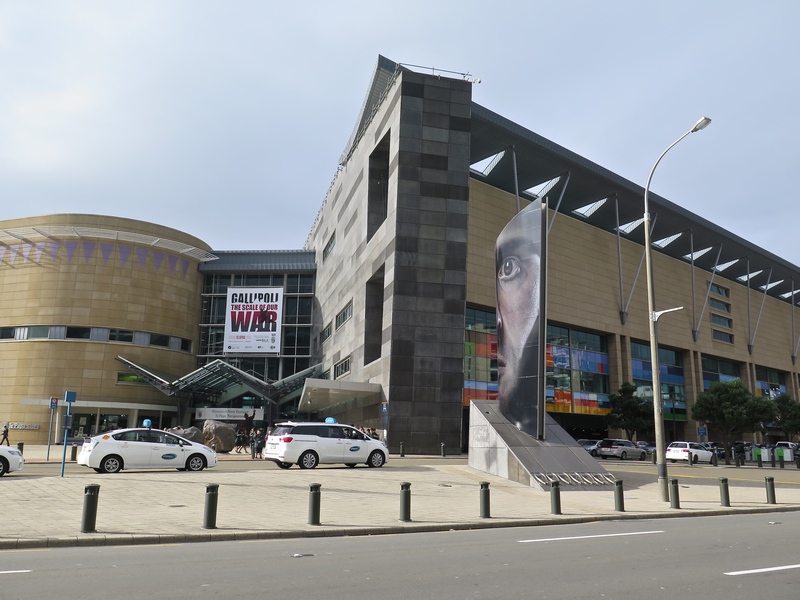 Wellington, where Te Papa is located, is just as subject to earthquakes as Christchurch. 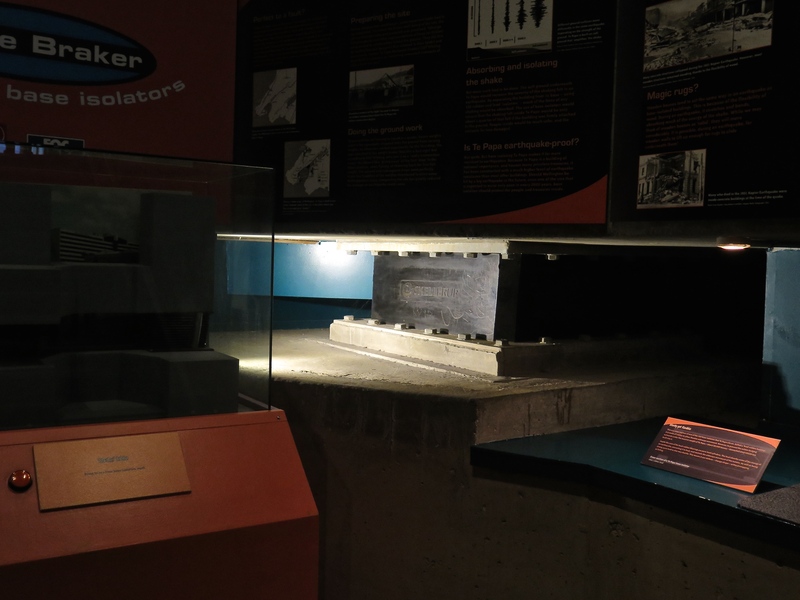 The treasures are protected by this entire building resting on base isolators, a New Zealand invention. They look like this. A big block of rubber with cylinders of lead inserted in them. The rubber accommodates lateral movement and shaking; the lead helps to absorb motion and heat energy. How smart is that! The treasure includes one floor of art and it’s not nearly adequate for what could be on display. This might be the lowest ratio of ‘shown’ to ‘stored’ pieces of any respectable national gallery. But what was there on our last visit was great. We particularly liked this. It’s called ‘Dromorne Rd – Putiki Street’. What do you think? Marble? Terrazzo? The tag says: ‘Andrew Barber created this work from the drop sheets he used in his 12-year career as a house painter. The squares were stitched together by sail-makers on industrial machines.’ Dromorne Rd was where he did his first painting job. Does that change how you feel about it? Or how you feel about a country that devotes a major exhibition space in its precious national gallery to its display? Without pretension. Without artifice. What’s a master? Far north in Northland, North Island. But it could be anywhere. 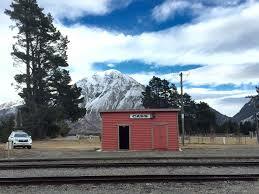 While you were at the Republic of Whangamomona you could have taken a golf cart ride along an abandoned railway. Apparently it’s a great ride through wonderful scenery. Next time I’m in NZ I’m going to do it, but then I would. I’m glad the oldies made it to the top of Mt.Isobel and enjoyed the view. I’ll do that too. I love your photos. Makes me keen to explore more of NZ.